Aquazzura Wild Things have been the it-girl shoes of the moment. So Aquazzura “looks for less” have continued showing up, ranging from $26 to $176 (more on that later). The Aquazzura Wild Things pictured above are the subject of this fashion law case. Trump is accused of deceptive trade practices, trade dress infringement, and unfair competition. Aquazzura says that Ivanka Trump’s Hettie shoe (above) is a near identical match to Aquazzura Wild Things and available in the same color palette. As I show below, there have been many close copies of Aquazzura Wild Things. Have you ever wondered if a vintage good was authentic? Chanel authenticity can be tricky. Vintage pieces are particularly faked. You have to be careful which retailer or website you trust. Even Beyond the Rack sold counterfeits. 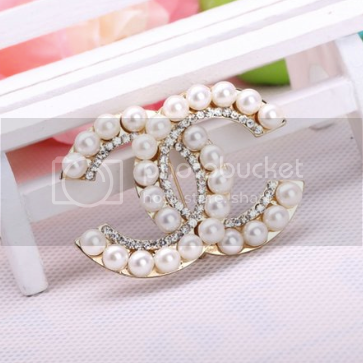 Can you decipher Chanel authenticity between double C logo brooches? 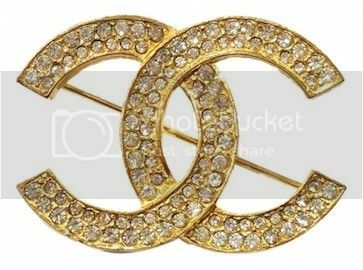 Vintage Chanel jewelry is often counterfeited because early Chanel jewelry did not include special markings or hallmarks. You may enjoy How to Know if Your Chanel Bag is Authentic. Chanel costume jewelry pieces produced between the 1970s and 1990s should be heavy. Most pieces were gold plated but started with a heavy base metal. Depending on the season and year that a piece was produced, the hallmarks vary. When inspecting these markings, it is important to scrutinize the font, depth, and location of the different insignias. Share this Chanel authenticity infographic with others. DIY your high fashion look for less, inspired by Chanel’s Cruise 2017 collection. As I explained in my recent post, Fueling Capitalism in Cuba #ChanelCruiseCuba, Chanel’s Cruise 2017 beret is the perfect blend of French and Cuban culture. You can make your own Chanel inspired beret for as little as $9. I have not seen it for sale but I am willing to bet that the price tag will be more than what the average person in Cuba makes in one year. 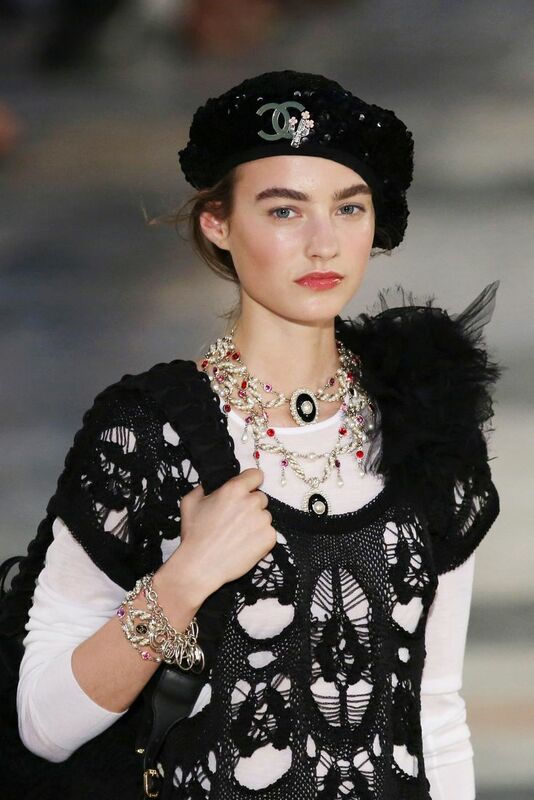 Chanel’s beret is ripe for a fashion DIY. —Like my Chanel USB lipstick. Although my voice and article content is not influenced, this is a sponsored post. 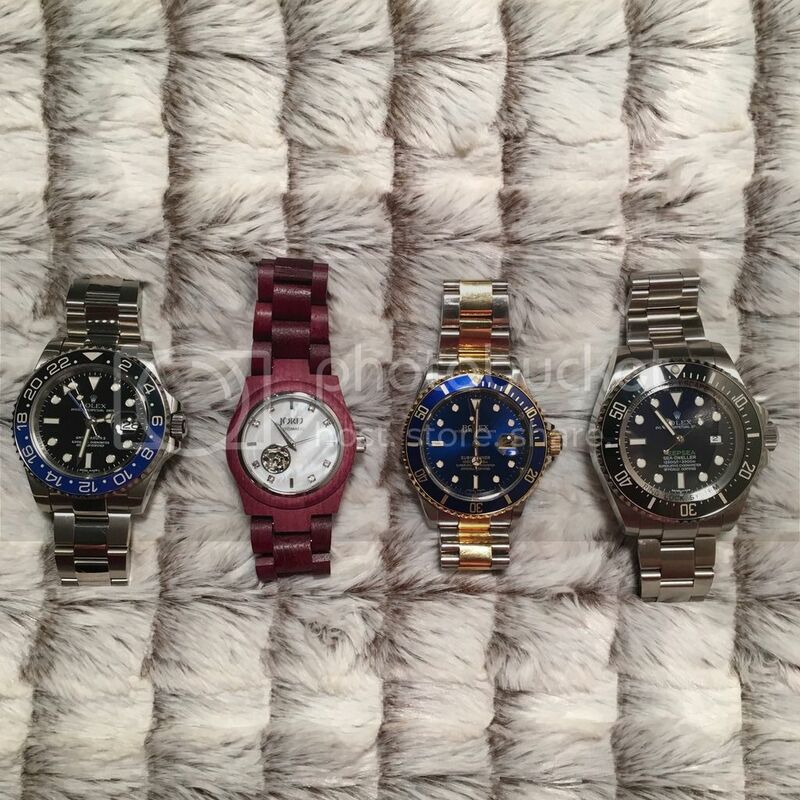 If you follow my blog or instagram, you know that I am a fan and collector of watches—mostly Rolex. Of course, cool watches are not exclusive to well-known luxury brands. Recent Instagram post showcasing some of my Rolex watches with a colorful new addition c/o JORD. Allow me to introduce you to a cool watch company: JORD watches are unique and luxe. 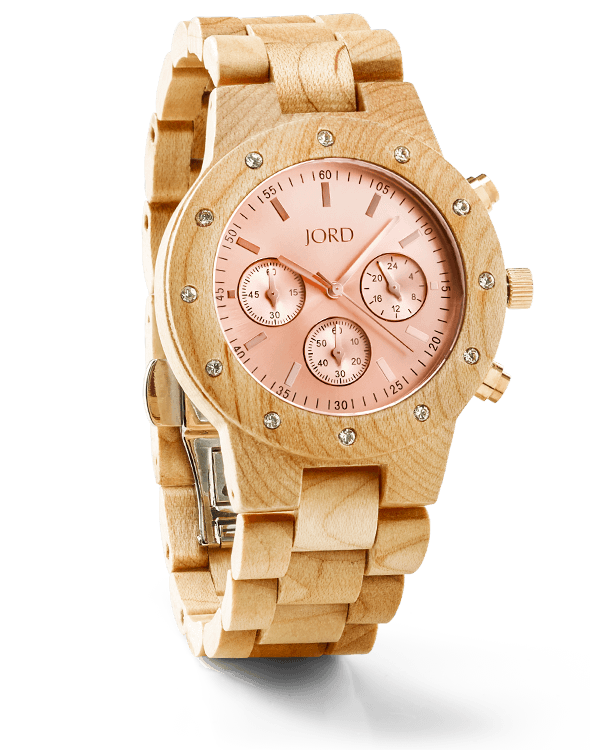 JORD is a watch company that offers men’s and women’s wood watch lines. And although one of my Audemars Piguet watches runs on a battery, I am partial to watches with automatic movement. * So I was pleased to discover that this eco-friendly, sustainable fashion watch company carries automatic watches. My watch collection was missing a watch with a skeleton aperture. So I am glad to have gotten the opportunity to fill this need with such a unique watch. Although I got this watch for free c/o JORD, it is something I would have purchased on my own. It is an excellent choice for an affordable skeleton watch. I am pleased to report that this wood watch has held up to my non-prissy wear. Sweat has not dulled it. It seems to only get more beautiful with wear. This watch is more lightweight than I expected. I am accustomed to heavy watches so I find myself constantly checking to see if it is still on. I have not had any problems with the watch unclipping, getting caught on a garment, or opening during wear. The crown is stiff and sturdy and features the engraving of the JORD J logo. 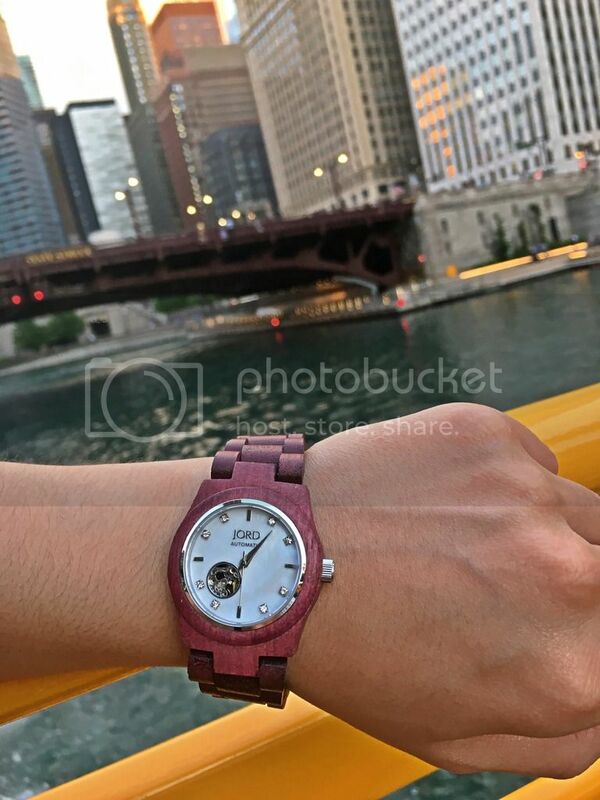 I have previously discussed eco-conscious fashion—but eco friendly wooden watches? The watch I have is made of Purpleheart wood. Purpleheart grows in Latin American rain forests. Over-harvesting has caused several species to become endangered in areas where they were once abundant. In Costa Rica and Panama, purpleheart wood is an economically valuable tree; however, purplewood harvest is prohibited by law. Naturally fallen trees and sustainable farms provide legal wood. How is using trees to make jewelry “good” for the environment? JORD utilizes wood that would otherwise end up in the waste cycle. A great majority of the wood comes from furniture remnants. They are also mindful of not being wasteful during the manufacturing and production of their wood watches. 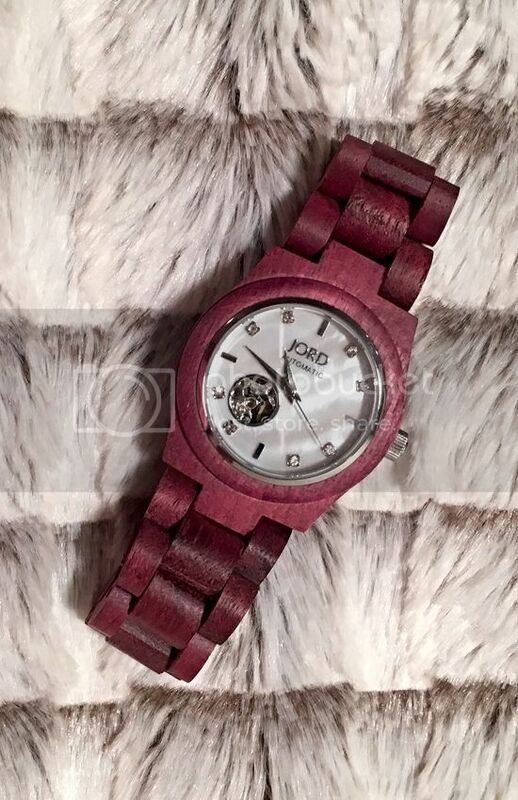 This deep purple hue is natural, as with all JORD watches, no dyes or hazardous materials are used. All of these wood watches are treated with natural substances. Only natural tung oil is used to treat the wood. Cool watches are a fun addition to all wardrobes. They make unique gifts too. The chronograph sidney maple watch with rose gold face is adorable. It retails for less than $200 and comes with keepsake wooden watch holder. This watch comes in more masculine wood and watch face colors. A wood watch would make a great father’s day gift for men who like watches or sustainable fashion. Although the watches I pictured are quite girly, many JORD watches are unisex. JORD also makes watches for men. Check them out for cool watches and unique gifts. Jord means earth in Swedish. I read this on the live registered trademark application of a prior user of the mark. The prior user claimed and holds rights to categories of unrelated engineering services. 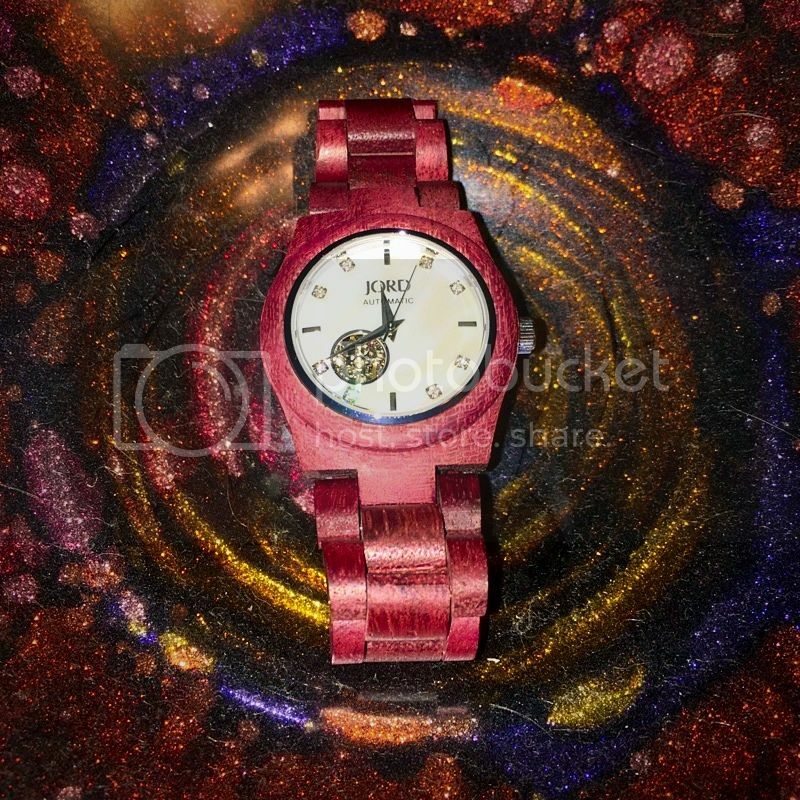 Since JORD watches are in the fashion field, they were also allowed the trademark to the JORD mark. 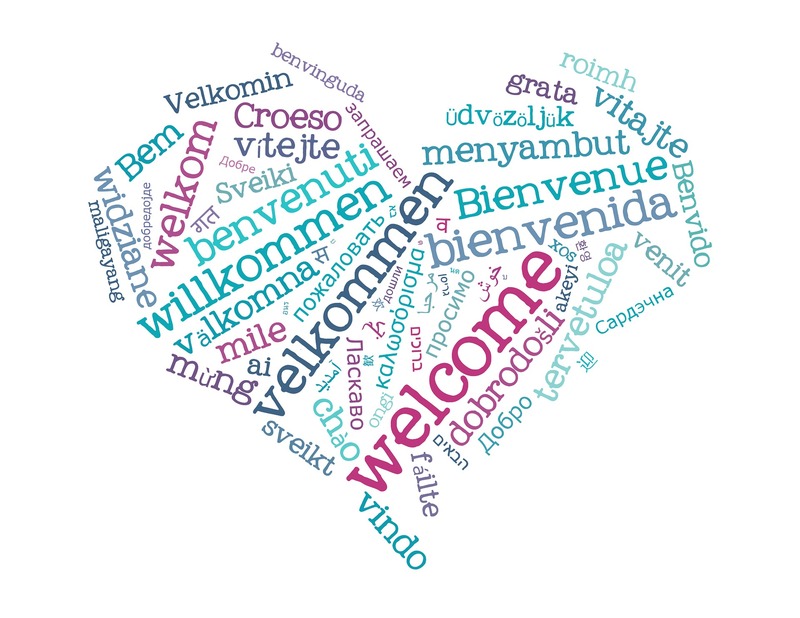 Similar or same word marks may be owned by different parties when the goods or services are not deemed to be confusingly similar to the consumer. The original user did not create secondary meaning for the word mark nor is the secondary user trying to piggyback off of fame created by the first mark. Enter my JORD giveaway by June 16, 2016 for your own cool watch or unique gift in time for Father’s Day. It is dangerous for a company to wait until they are a popular brand or manufacturing at a large scale to consider brand protection. Although it is not necessary for JORD to also trademark their J logo, it would be a good idea to prevent others from using similar markings on their watches. Of course, their use of the J gives them common law rights. And if a Chinese manufacturer were to copy them, it’d be an uphill battle to enforce rights, particularly trademarks rights that do not cover another country. Although JORD closely manages their manufacturing facilities in China, even Apple has fallen victim to loss of its IP rights in China. I am sorry for the low lighting. I did a last minute unboxing video for my JORD watch before heading out on a red eye flight. *In case you don’t know, watches with automatic movement are watches that do not run on batteries. Instead these watches are self-winding: the mechanical watch movement is wound by the motion of the wearer’s wrist. This site uses ads and affiliate links. Visiting an affiliate may result in a commission that helps run this site. Did Zara Sell a Dress with a Rat in the Hem?